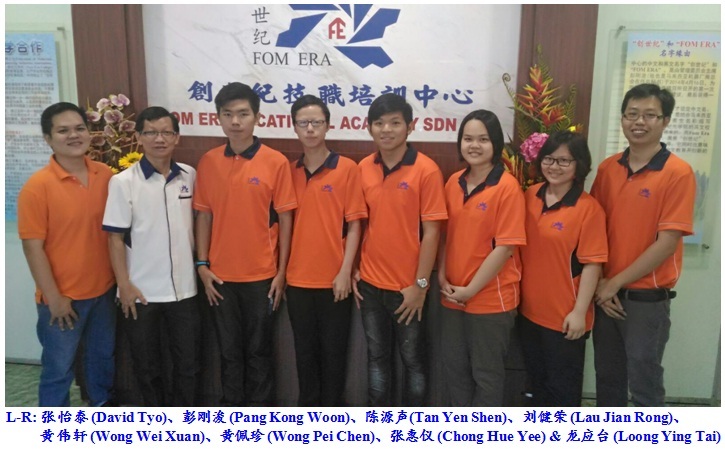 The first batch students (January 2015 intake) of Fom Era Vocational Academy has passed the verification of City & Guilds examination on 21 January 2016 (Thursday), the verifier was satisfied with the students final project and assignment. The students will obtain the Certificate for Basic Metal Machining after one month send from United Kingdom. The attendees included the Chairman of Management Committee Pang Kong Woon, committee members William Lee and David Tyo. The three students are Tan Yen Shen (from Melaka), Lau Jian Rong (from Melaka) and Wong Wei Xuan (from KL).